Polar Shades offers a variety of stylish and functional outdoor retractable shades for homeowners who want to control light levels and privacy inside the home or on an outdoor deck or patio. 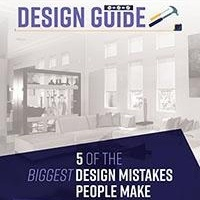 When selecting shades for the home, consumers should consider size, operating mechanism and design before making a final decision. Polar Shades’ Freedom and 4” ELITE Series shades are suitable for covering any span that measures up to 12 feet high and up to 14 feet wide. Both options feature the same high quality components and Freedom Shades come with an optional curved hood or open roll design with no hood. Homeowners can choose from five standard colors or pay an additional charge for custom powder coating in virtually any color to match the home’s exterior design. For larger spans, Polar Shades offers the 5.5” Titan or the Patio Drop Shade, with a curved hood or an open roll. Motorized retractable shades eliminate the need to operate shades manually. Consumers can choose from an interior wall mount switch or a portable remote control unit. The radio waves travel through walls eliminating the need to aim or point the transmitter at the shade. 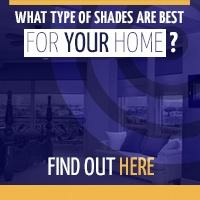 Home Shades Have So Many Options! Polar Shades offers other options including sun and wind sensors that take all the guesswork out of retractable shade control. Sensors are compatible with RTS motors and are suitable for installation on any retractable shade model. Users set the sensor thresholds and the shades will automatically open or close when sun and wind levels reach the desired thresholds. With all motorized window coverings, the user has the option of controlling them in a group, individually or both ways depending on need. 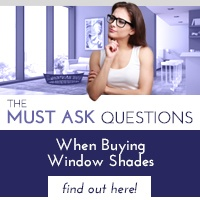 Find exterior window shades to fit any budget, personal preference and lifestyle. 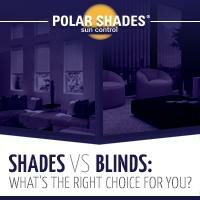 For more information about outdoor retractable shades, call the experts at Polar Shades at 877-260-6110 or 702-260-6110.